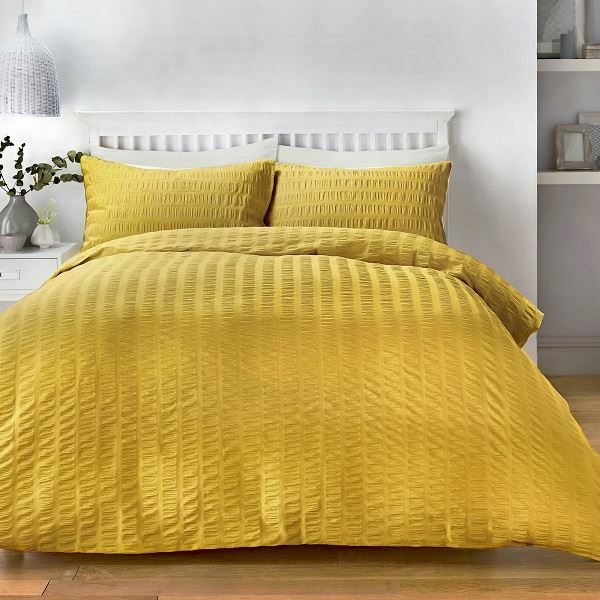 Brighten up your rooms with this ruched seersucker duvet set in the on-trend shade ochre. The 52/48 polycotton blend offers a 150 thread count making a low maintenance, easy-care linen while maintaining a silky soft finish. Matching pillowcase(s) included.